We are facing tough economic times at the moment and companies are looking at what parts of the business to cut. The marketing budget can be one of the first things to dramatically decrease, so why is it important that promotional gifts remain an important part of your marketing strategy? Well, television and billboard adverts are pricey and time consuming; a risky investment, whereas cost effective promotional gifts have the longevity thta a fleetling glance at a billboard or 30 second TV ad cannot afford. 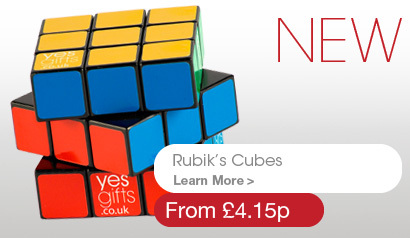 At Yes Gifts, we offer a brilliant range of promotional gifts at competitively low prices. From long lasting promotional mugs, to useful promotional pens and mouse mats; the importance of promotional products cannot be overlooked. Through significant buying power, Yes Gifts are able to offer the best value on the web and the quickest delivery times nationwide. With the widest range of promotional gifts in the UK Yes Gifts cannot help but be the leading supplier of promotional gifts in the country. We also offer a in house design service; get in touch and let our designers ensure that your brand message is perfectly conveyed on any promotional gift. YesGifts have an experienced team to help you promote your product, business or corporate event offering great value products such as promotional pens, mugs, mouse mats, umbrellas and other various types of promotional gift. Why Trust Yes Gifts With Your Promotional Items?